In our previous blog post, we spoke about Mindful Parenting – a technique that melds the practice of mindfulness with approaches to parenting. We discussed how this can enable parents to manage their stress and attend to their wards in a more effective way. If you haven’t had a chance to have a look at the various techniques of mindful parenting shared in that blog, you can take a quick peek here: Mindful Parenting. Mindfulness is for everyone, regardless of age. Children, especially those on the autism spectrum, can immensely benefit from making the practice a part of their lives. 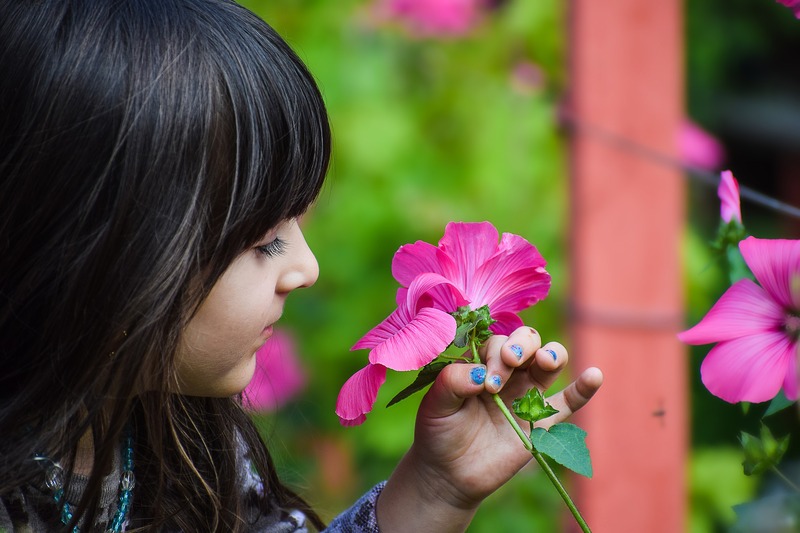 In this week’s blog, we will be discussing mindfulness techniques that you can teach your kids. Mindfulness can enable your child to recognize their emotional responses to stimuli. Using this knowledge, they can over time, learn to respond more effectively to situations and stimuli. How Mindfulness and Autism are Connected? Many children on the spectrum struggle with three critical areas: motor skills, sensory regulation, and socialization. They have difficulties in gaining control over the relationship between their mind and body. This is where mindfulness can help. Mindfulness lays the foundation for the skills required for building awareness of the body. Practicing mindfulness gradually enables children to take control of their body. This, in turn, leads to better sensory regulation and a decrease in social anxiety. A better awareness of what is happening inside them, emotionally and physically as well as the happenings around them. The ability to identify and control their own emotions. Tools to handle their anxiety by helping them to pause, breathe and anchor themselves to calm their mind and body. How to teach Mindfulness to Children on the Spectrum? There are many ways by which a child can learn to be mindful. The following ideas can be used as a foundation to come up with more customized techniques that suit your child the best. Breathing Exercises: Come up with a breathing exercise/game for your child. For instance, ask your child to cuddle their favorite toy to their tummy and see if they can make it rise slowly up and down using their breath. This enables them to easily concentrate on their breath. Another instance would be to use a balloon. Hand over a balloon to your child and ask them to blow it up slowly. As the balloon expands, invite them to turn their attention to the balloon. Once they are done, you can slowly release the air from the balloon and call their attention to the balloon’s contraction. This is a great way to teach children to concentrate. You can build upon this technique and come up with similar or better methods! Bell Listening Exercise: Ring a bell. It could be a physical one or one from an app. Ask your child to close their eyes and listen to the vibration of the bell. As the sound of the bell declines, invite them to slowly shift their attention to any other sounds they hear for about a minute. This is a simple yet effective exercise that shifts your child’s attention to the present moment. Soles of the Feet: This technique was developed by researchers to manage angst, anger, and aggression. When your child is faced with emotionally stimulating situations, you can teach them to redirect their attention and awareness to a neutral part of the body such as the soles of their feet. This technique helps calm and clear their mind during stressful and stimulating situations. Calm-down Jars: For this activity, fill a clear jar halfway with water. Top it off with some glycerin or baby oil. Finally, add some glitter to the jar and screw the lid on tight. You can also glue the lid on to prevent spills. If you have a snow globe handy, that would work perfectly as well. When your child is going through a stressful experience, ask them to shake up the jar and watch as the glitter settles after the swirling chaos within it. This technique allows them to relate their internal state of mind to a visual object. As the external calms down, they too will be able to calm themselves down effectively. With regular practice, children on the spectrum can benefit greatly from mindfulness and can take control of their body and mind coordination. Also, mindfulness has several benefits and helps them to approach an unexpected or stimulating environment with a calm mindset. Mindfulness, when practiced regularly, can enable children to be more efficient in their activities.